Kronolojia Faktus: MF APROVA FUNDUS HARIKU NIA KABEN? MEDIA VS MF SE MAK LOOS? ETLJB 13 February 2013 - Tensions between East Timor's military and the dissident political group known as CPD-RDTL which reached a new stage when CPD-RDTL members occupied land in the southern district of Manufahi last month, have increased in recent days with rhetoric between the military chief, Lere Anan Timor, and the leaderhsip of CPD-RDTL becoming more conflictual. State leaders such as the President and former military chief, Taur Matan Ruak, the Prime Minister, Xanana Gusmao, as well as the Parliament and the present military chief have been urging CPD-RDTL over the last several weeks to leave the lands they have occupied in Manufahi, to stop wearing military-style uniforms, carrying weapons and intimidating the local residents. The military has already mobilised to the area. TVTL reported on 22 January 2013 that the Timorese Defence Force (F-FDTL) soldiers conducted a two-week "Cobra" Exercise in the southern district of Manufahi to help increase skills of the defense force soldiers. Speaking to journalists on that occasion, the Deputy Commander of F-FDTL, Bridger General Filomeno Paixao, said "This is not a military operation, but it is exercise or training to try capacity of F-FDTL's soldiers which has been in the plans." Earlier last month, Independente reported on 18 January 2013, that the Prime Minister (PM) Xanana Gusmao announced to CPD-RDTL members at Welaluhu in Same District that he would evacuate them from there himself, if necessary. “I believe they will go back to their home because after debating the state budget, I pledge to go with cars to pick them up to their home,” he said. Gusmao also warned that if CPD-RDTL did not want to move from that place he would evacuate them through force by sending in the military and the police. 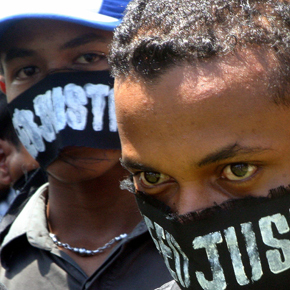 On Friday, 8 February 2013, TVTL carried a report that quoted Major General Lere as describing the concentration of CPD-RDTL members in the sub-district of Fatoberliu as a situation that "may give others the opportunity to create instability in the country and has implicated influences from Indonesia. TVTL reported the Major General as saying that "We have also heard that some of our friends from the other side (Kupang and Atambua) are inside the CPD-RDTL. They are together with you now. Be careful with this. As I have already told you here today, I referred to the names of some heroes and you have also suffered for this country. But when you concentrate like this, some people can take advantage of the situation," Lere Anan Timur told the gathering. He was also reported as saying that the nation was built on the remains and blood of many people, and because of this there is no one who will be allowed to destroy this nation. On the same day, TVTL also reported further remarks by Major General Lere condemning the actions of CPD-RDTL members who used the national flag to sit on in their cars. The military (F-FDTL) discovered this when they carried out searches of CPD-RDTL members in the Fatoberliu sub-district, Manufahi District. 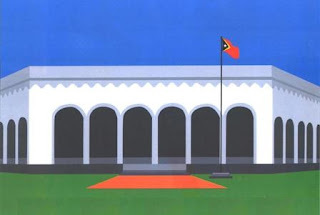 The head of the F-FDTL, Major General Lere Anan Timur told the CPD-RDTL masses gathered at a former Indonesian transmigration site SP2 in Kiras, Sub district of Fatoberliu, Manufahi that "the Timor-Leste National flag has its legacy in the blood and mortal remains of nearly 200,000 Timorese who died for this beloved nation." 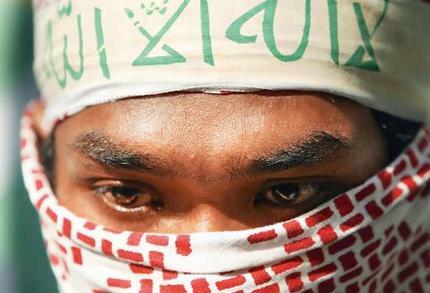 Lere Anan Timur said that the F-FDTL and the police had proof that some CPD-RDTL members had used the national flag to sit on whilst travelling in their cars. Lre is reported to have also said on that occasion that "During these searches we found out a lot of things. Your CPD-RDTL members spread the national flag down inside the car and sat on top of it. Now you are making a mistake doing this. This flag you are raising, was bought with blood and remains of people, with which we must be careful. If you want to sit on this flag, then which flag do you want instead? This flag has the price of blood spilt, the price of fallen bodies. This was the flag many of our compatriots died for. We will defend this flag against anyone, another country invading our country. Your compatriots dressed in uniform (the F-FDTL) have sworn, I have sworn, to defend this flag with our lives. Only after have all died and gone can others tromp on our flag, but nobody will stomp on our flag whilst we are still alive. Some time ago I went to Lospalos to meet with your CPD-RDTL colleagues, and heard them singing the Falintil Anthem. But, they changed the words, with references to hoes, to motor vehicles, buffaloes, horses and other things. So I told them that the Falintil anthem is a sacred anthem. No one can change the words to refer to cars, carrying machetes, horses, buffaloes. The Falintil anthem was established with blood, with the bones and bodies of the fallen. That is why you should not change the words of the Falintil anthem. If you want to change the words then find another piece of music. The Falintil anthem must not turn into a song about cars, be about cornfields, about rice paddies. The Falintil anthem is a warriors anthem, not a farmers anthem. It's alright, because sometimes we do not know what democracy is. So firstly, you as Timorese, also as Timorese citizens, you have to accept that you are subject to the government and the state," said Lere Anan Timur. Also, during the searches of the CPD-RDTL members, they also found weapons (knives and such hand implements) carried in bags. "Then, we also detected you CPD-RDTRL carrying sharp weapons (swords and fighting knives)," Lere said. The CPD-RDTL leaders have refused the requests from the state institutions to leave the area and have vowed to do the same thing - occupy lands, cultivate the lands, and so on, in four other districts. National newspaper Diario repoted on Tuesday, 12 February 2013, that the Council of the Peoples' Defence-Democratic Republic of Timor-Leste (CPD-RDTL) wold not accept the order from the RDTL state, through Major General Lere Anan Timur, Chief of the Timor-Leste Defence Force (F-FDTL) that the CPD-RDTL vacate the land which they have occupied in Fatoberliu sub-district. According to CPD-RDTL spokesperson, Gil Fernandes da Costa, the objective of the CPD-RDTL is to increase the national agricultural production so as to minimize imports. Gil affirmed that recently F-FDTL Major General Lere Anan Timur requested CPD-RDTL to leave the area its members have occupied so that the government can use that location for prisoners from Gleno, Ermera and Becora to farm there, but CPD-RDTL will maintain its position to continue to stay there, because there is no where else the government has allocated to them yet. 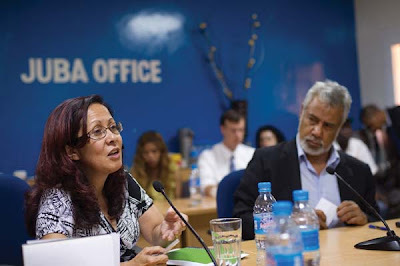 MEADU fulan Novembru 2012 Tempo Semanal hala’o publikasaun kona ba, Ministra Finansas Emilia Pires, aprova fundus ba ninia kaben hodi hatama ekipamentus médiku ba Ospitál Nasional Guido Valadares (ONGV). Publikasaun ne’e bazeia ba dokumentus ne’ebé Tempo Semanal asesu. Tanba, iha prosesu ne’e deskonfia Ministra Finansas aprova fundus hodi hariku nia kaben. Tuir dokumentus ne’ebé Tempo Semanal asesu deskobre buat balun la’o la loos no deskonfia membru Governu senior ne’ebé asumi pasta Ministra Finansas durante periodu rua nia laran viola ona dekretu Lei numeru 10/2005, rejime juridiku ba Aprovizionamentu, Kapitulu IV inkompatibilidade iha Artigu 32 ne’ebé mak regula kona ba konflitu de interese servidór estadu sira nian. Atu hatene klaru kona ba prosesu ida ne’e bele lee no hare kronolojia faktus ne’ebé Tempo Semanal sita. 03 Fevereiro 2012: Eis Vise Ministra Saude iha Governasaun AMP, Madalena F.N.H Costa, Bsn haruka surat ho numeru Ref. MS/VMF/2012/441 ba Ministra Finansas hodi husu orsamentu adisional atu sosa nesesidades korentes ba ospitál sira, ho razaun katak, orsamentu ne’e la preve’e iha planu orsamentu do estadu 2012. 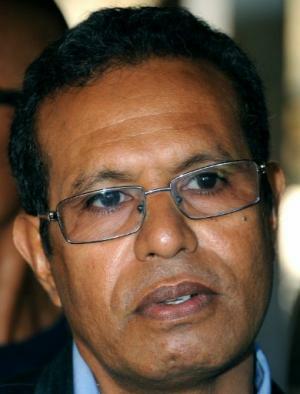 DILI - Nasaun hat (4) hanesan India, Fiji, Ecuador ho Turquia, liu husi sira nia Embaixador ba Timor Leste interga karta kredensial ba Presidenti Republika (PR), Taur Matan Ruak, nune mos PR husu ba Nasaun ha’at nee atu azuda TL liu husi dezenvolvementu Ekonomia. PR Taur simu karta kredensial husi Nasaun India liu husi nia Embaixador India Ba TL Gurjit Singh, hodi hametin relasaun entre Nasaun rua nee ba oin ho diak. “India Nasaun boot ida iha mundu, hau fiar Nasaun nebee dezenvolve aan iha tinan barak nia laran konpara ho TL nebee foin ukun aan , tamba nee ami prezisa apoiu husi Nasaun India ba dezenvolvementu ekonomia iha rai laran,” hateten PR Taur, liu husi nia deskursu iha Palasiu Presidensial, Aitarak Laran, Dili, Kuarta (13/02). 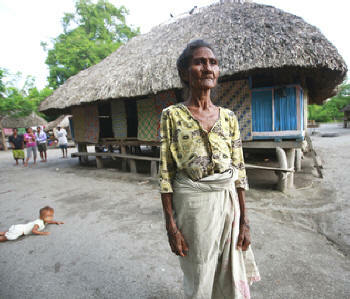 DILI - Orsamentu Jeral Estadu (OJE) 2013, propoin kuaze Miloens 23, ba governu liu husi sekratariu estadu Seguransa hodi halo kobertura ba iha serivisu Policia Nasional Timor Leste, atu fo seguransa ba Povu iha nasaun Timor Leste. Tuir Komandante geral PNTL, Komisariu Longinhos Monteiro katak, PNTL hatama proposta orsamentu 23 miloens atu halo kobertura, tan ne’e parte PNTL hein katak buat hotu sei lao diak atu nune bele halo kobertura. “ami propoin hatoo proposta 23 miloens atu halo kobertura servisu no mos osan adisional balun ita espera katak buat hotu sei lao diak atu halo kobertura ba iha nesesidade Policia ninian,” dehan Longinhos ba STL foin lalais nee’e iha sentru Formasaun Akademia Komoro. PARESE publiku tomak hanoin hela publikasaun Jornál Tempo Semanal kona ba alegasaun Korrupsaun Koluzaun Nepotizmu (KKN), hasoru membru senior ida iha V Governu nia laran. Alegasaun ne’e dirije ba Ministra Finansas, Emília Pires ne'ebé iha IV Governu ninia ukun assume mós kargu hanesan Ministra Finansas ne’ebé hala’o ona aprovasaun orsamentu ba kompañia ida ne'ebé ninia na'in no Diretór mak Warren Macleod kaben husi Ministra Finansas Emilia Pires. Hafoin Tempo Semanal publika alegasaun korrupsaun iha Ministeriu Finansas ne’ebé deskonfia envolvimentu Ministra Finansas rasik. Maibe, Ministra Finansas ne’ebé durante ne’e nonok (diam seribu bahasa) hodi lakohi fó komentariu ba media kona ba alegasaun ne’e, ikus mai ‘angkat bicara’ iha debate Orsamentu Jeral do Estado 2013 iha Parlamentar Nasional hafoin hetan atakas husi membru Deputadu Bankada Opozisaun. Deklarasaun Ministra Finansas oras ne’e hamosu duvida ba publiku. Ate publiku balun dehan, “Entre publikasaun Media kona ba Alegasaun KKN hasoru Ministra Finansas no Deklarasaun Ministra Finansas iha PN ne’ebé duun Media Hakerek Arbiru De’it. Ida Ne’ebé Mak Loos? Antes ne’e, iha publikasaun Tempo Semanál edisaun, 42, 44 no 47 Sosiedade Sivil sira ezije investigasaun klean ba kazu ida ne’e hodi publiku bele hatene katak alegasaun ne’e loos ou lae. Diretor Perkumpulan HAK, Rogerío Veigas Viçente hateten, la iha tan ona dalan seluk. KAK tenke hahú loke investigasaun, hodi nune’e bele deskobre katak alegasaun hasoru Ministra Finansas iha duni provas KKN ou lae? “KAK presiza hala’o investigasaun ne’ebé klean hodi bele hetan provas ba kazu ida ne’e. Tanba, aktu ne’e hatudu katak Ministra Finansas uza ninia kompentensia hodi hala’o aprovasaun orsamentu ba nia kaben, hodi hetan projetu.” Rogerio kestiona. Aktu ne’e viola Dekretu Lei numeru 10/2005, Rejimi Juridiku ba aproziamentu, Kapitilu IV inkompatabilidade iha Artigu 32. Membru Front Nasional Libertasaun Maubere (FNLM), Afónso Pereira hateten, karakteristiku ou modelu ne’ebé Ministra Finansas Emilia Pires komete parte ida husi KKN. Tanba, aprova fundus ba ninia kaben rasik. Emilia mós uza ona ninia poder hanesan ema bo’ot hodi hala’o dominasaun ba prosesu ida ne’e. “se evidensia ruma bele justifika katak envolvimentu Ministra Finansas iha duni faktus imprtante mak KAK no instituisaun seluk ne’ebé relevansia ho asuntu ne’e tenke foti duni medidas. Tanba, aktu ne’ebé nia (red-Emilia) aplika ‘merugikan’ ema barak iha Timor-Leste.” dehan Afónso. Dala barak sira sempre koalia kona ba Boa Governasaun. Maibe, relasiona ho alegasaun korrupsaun ne’ebé akontese hatudu katak, Ministra Fiansas rasik la iha responsabilidade moral. “Ba ha’u ida ne’e korrupsaun no krimi boot ida. Ne’e duni, hanesan Sosiadade Sivil ami sempre ejize ba orgaun kompetensia atu toma responsabilidade. Tanba, agora daudauk publiku alergi ba ema sira ne’ebé envolve kazu korrupsaun.” esklarese Afónso. Aktu korrupsaun no kolusaun ne’e sistimatiku liu. Ne’e duni, bainhiraita hare ‘tingkat perubahan sosial’ ne’ebé akontese iha rai ida ne’e. Tanba, hahalok okum hirak ne’e sei fó ameasa ba jerasaun foun sira. Tuir Diretor Ezekutivu Forum Organizasaun Nasional Timor- Leste (FONGTIL) Arsenio Pereira da Silva, Sosiadade Sivil iha papel importante atu hala’o kontrolu sosiál ba sasan estadu no sasan publiku, liu-liu orsamentu estadu tanba osan ne’e povu nian. Se alegasaun ne’e loos, Sosiadade Sivil sei full up informasaun liu husi dalan advokasia. Presiza hala’o investigasaun hodi nune’e labele akontese tan. Tanba, orsamentu ne’ebé ho valor boot sira halo fali singlesours hodi fó fali Ministru ou Ministra ida nia kaben ne’e la loos. “ida ne’e hanesan mal pratika ba orsamentu estadu, no tuir FONGTIL la justu. Ne’e duni, persiza investigasaun ne’ebé klean hodi nune’e ita bele hatene kazu ne’e akontese duni ou lae?” esklarese Arsenio. Diretor FONGTIL hatutan, maski iha ona regulamentu kona ba tenderisasaun nian. Maibe, tuir sira nia hare sempre mosu failansu iha prosesu balun. Ne’e duni, se alegasaun hasoru Ministra Finansas ne’e iha duni faktus, entaun presiza investigasaun tanba prosesu ida ne’e la justu, se kuandu Ministra aprova fundus ba ninia kaben nia kompaiña. Antes ne’e mós, Deputadu Bankada opozisaun, Antonio Bianco hateten, indikasaun KKN la’os foin mak akontese. Maibe, kazu hanesan ne’e akontese desde inisiu Guvernu AMP to’o agora no Governu ida ne’e nakonu ho KKN. Koa’lia kona ba kazu Ministra Finansas, Emilia Pires aprova fundus ba nia kaben, situasaun ne’e ladun kondisivu tanba dezde uluk kedas Fretilin kestiona Governu ida ne’e nakonu ho KKN, la fó benifisu ba estadu tanba osan ne’ebé mak ita hetan husi ita nia riku soin, ita la uza didiak. “sistema Governasaun ida ne’e mak la’o hanesan ne’e nafatin, ita sei la atinze objetivu ne’ebé mak ita hakarak atu hasai povu husi ki’ak no mukit.” Bianco kestiona. Deputada Frenti Mudanca, Maria Adozinda Pires da Silva haktuir, membru Governu ne’ebé mak hala’o aktividade ou foti desizaun la liu husi prosesu ruma kategoria KKN. Maibe, atu justifika katak iha duni provas, entaun instituisaun ne’ebé kompentente tenke hala’o investigasaun ba kazu ne’e. “Kuandu iha membru Governu ida mak hala’o aktividade iregularidade no hasai desizaun ruma la tuir Lei tenke investiga. Institusaun ne’ebé mak toma responsabilidade ba aktu korrupsaun bele hala’o investigasaun ne’ebé klean no se iha duni evidensia ne’ebé forti tenke foti medidas.”tenik Deputada husi komisaun C.
Bissau, 13 fev (Lusa) - O representante da ONU na Guiné-Bissau, José Ramos-Horta, considera que a comunidade internacional nunca apoiou muito o país e que é preciso que "aprenda com os erros do passado" e dê maior apoio ao povo guineense. José Ramos-Horta chegou na madrugada de hoje a Bissau e encontrou-se esta manhã com o primeiro-ministro de transição, Rui de Barros, o primeiro de um ciclo de contactos com responsáveis guineenses, nomeadamente para apresentação de cumprimentos. Após a reunião de cerca de 45 minutos, o novo representante das Nações Unidas afirmou-se otimista e pronto para "abrir outro capítulo" na Guiné-Bissau, embora as decisões nesse sentido tenham de partir dos guineenses. "Sou uma pessoa otimista, um otimismo fundado no que conheço do povo guineense, prático, determinado e com elevado número de quadros", disse Ramos-Horta, considerando que há "um bom ambiente" na Guiné-Bissau, quando comparado com outros países do mundo. Afirmando que há "um processo de diálogo em curso" iniciado pelo Presidente da República de transição, Ramos-Horta disse acreditar que se está "no bom caminho" e acrescentou que está confiante no sucesso da sua missão. Na Guiné-Bissau há "uma situação de um Estado frágil, que precisa de ser apoiado. A Guiné-Bissau nunca teve muito apoio da comunidade internacional", disse o representante da ONU, uma ideia que lhe fica, acrescentou, do que tem observado ao longo dos anos e das vezes que esteve no país. É preciso, disse, que a comunidade internacional "direcione ajuda para beneficiar o povo guineense, sobretudo os jovens". 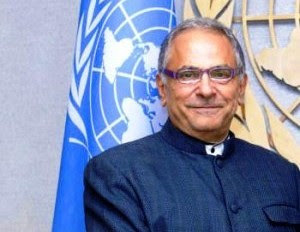 José Ramos-Horta, ex-Presidente de Timor-Leste e Prémio Nobel da Paz, foi em janeiro nomeado pelo secretário-geral da ONU, Ban Ki-moon, seu representante para a Guiné-Bissau. Ramos-Horta substituiu o ruandês Joseph Mutaboba, cujo mandato terminou a 31 de dezembro passado, na liderança do Gabinete Integrado das Nações Unidas para a Consolidação da Paz na Guiné-Bissau - UNIOGBIS. A Guiné-Bissau tem vivido momentos de instabilidade cíclicos. Em abril do ano passado, um golpe de Estado derrubou os dirigentes eleitos e desde então o país está a ser gerido por autoridades de transição, não reconhecidas pela maior parte da comunidade internacional. Abdul Rauf passa anônimo entre os estudantes que circulam num fim de tarde pelas ruas de Jacarta, a movimentada capital da Indonésia. Usa calça de sarja e camiseta, bolsa tiracolo de lado e óculos de aro preto retangular que lhe conferem um ar intelectual. Quem o vê entrar no café Starbucks, não imagina estar diante de um terrorista, envolvido em uma nova frente jihadista letal que se alastra pelas ilhas da Indonésia. Em parte, é formada por velhos combatentes do Jemaah Islamiyah (JI), a Al-Qaeda do Sudeste Asiático. Condenados pelo mais violento atentado na história da Indonésia, que deixou 202 mortos no balneário de Bali, em 2002, seus líderes começam a sair da prisão e tentam se reagrupar, como mostrou reportagem publicada ontem pelo Estado, que flagrou um encontro de milicianos de alto escalão do grupo, no subúrbio de Jacarta. Abdul Rauf passou 10 dos seus 31 anos na cadeia pelo assalto a uma joalheria, que ajudou a financiar a ação em Bali, e por recrutar alguns dos terroristas. Entre os homens-bomba estava Iqbal, seu melhor amigo. Com o visual renovado, recém-saído da prisão, Rauf concorda em encontrar a reportagem no centro comercial Oakwood, à sombra do hotel JW Marriott, explodido duas vezes, em 2003 e 2009, por seus amigos do JI. O ataque em Bali, no rastro do 11 de Setembro e realizado com apoio direto da Al-Qaeda, colocou a Indonésia na mira da CIA. Depois disso, o grupo fez poucos atentados e nunca com a mesma proporção. Pelo menos 830 acusados de ligação com o terrorismo foram presos na última década. Eles agora deixam a prisão. Mais de 300 ganharam a liberdade este ano ou serão soltos até 2014, segundo o Instituto de Defesa e Estudos Estratégicos. Ocorrências recentes, o acirramento do conflito sectário internos entre muçulmanos e cristãos e a descoberta de planos de ataques contra alvos ocidentais, entre eles a Embaixada dos EUA, duas semanas antes da visita do presidente Barack Obama ao país, em novembro, foram atribuídos a reincidentes, sinais de que reassumiram a jihad. Com um agravante: "A repressão ao JI fez com que o grupo se dividisse, entre os que se mantém leais a Abu Bakar Bashir (o líder espiritual do JI) e dissidentes, ainda mais radicais", explica Taufik Andrie, pesquisador do Institute for International Peace, de Jacarta, que trabalha com a desmobilização de jihadistas. No mês passado, sete acusados de planejar novos ataques contra destinos turísticos nas ilhas de Sulawesi e Sumbawa foram presos e quatro, mortos pela polícia. Com eles, havia 261 bombas caseiras e 50 quilos de material para fabricação dos artefatos explosivos. "Gostaria de viver em paz, mas em Poso isso não é possível", diz Rauf, sobre o distrito de Sulawesi. Poso foi palco de confrontos violentos entre cristãos e muçulmanos, no início dos anos 2000, com mortes de ambos os lados. O conflito voltou a assombrar a região sob o comando de Santoso, fugitivo, líder do recém-criado Comando Mujahedine do Leste da Indonésia, dissidente do JI, com o qual Rauf está envolvido. O plano contra alvos americanos, desvelado no fim do ano, foi atribuído a outro grupo antes desconhecido, o Movimento Sunita, que se descobriu mais tarde ser uma facção do JI. Em 2011, um novo campo de treinamento de jihadistas foi descoberto em Aceh, sob comando de Bashir, o fundador do JI. O religioso, de 74 anos, foi preso com 60 novos recrutas. Para despistar as autoridades, ele havia rebatizado seu grupo para Jemaah Ansharut Tauhid, agora na lista dos EUA de organizações terroristas. O racha do JI em subgrupos dificulta o rastreamento. Sob a bandeira da democracia e liberdade, muitas das novas organizações operam no país sob o disfarce de sociedades islâmicas, como fazia o clérigo Bashir, escolas religiosas e mesquitas. Rauf viveu até os 17 anos em uma pesantren (escola corânica em regime de internato, as madrassas da Indonésia). Lá foi cooptado pelo imã Samudra, o mentor dos atentados de Bali, executado em 2008, que dava sermões aos alunos e exibia a eles vídeos da morte de muçulmanos por cristãos nos confrontos em Poso. "Eu não era muito religioso, mas o conflito em Poso nos uniu. O imã Samudra era uma inspiração", diz. Iqbal, o amigo suicida de Rauf, passou pela mesma escola. "Não é difícil convencer alguém a ser um homem-bomba quando se vive conflito como em Poso." Rauf sustenta que não sabia do atentado em Bali, achava que o roubo era para financiar a jihad contra cristãos. Se envolveria se soubesse? "Talvez." Concorda com a morte de civis? "Sim. Se cristãos radicais estão nos atacando, é meu dever fazer algo." Segundo o chefe da polícia antiterrorismo da Indonésia, Ansyaad Mbai, homens como Rauf formam uma nova frente de jihadistas, que prolifera em regiões como Aceh, Java, Sulawesi e o oeste de Nusa Tenggara. Díli, 13 fev (Lusa) - O representante do Banco Mundial em Timor-Leste, Luís Constantino, previu hoje uma continuação do crescimento económico no país, mas alertou para a necessidade de diversificar a economia, ainda muito dependente do petróleo. A taxa de crescimento económico em Timor-Leste é de cerca de 10 por cento e as previsões do Banco Mundial apontam para que se mantenha em dois dígitos até 2014. Segundo o economista português, a trabalhar desde 1991 no Banco Mundial, quando as economias se tornam muito dependentes do petróleo têm dificuldade em diversificar para outros setores, porque a vida fica muito cara. "Esse vai ser o grande desafio (de Timor-Leste), que é criar crescimento fora do setor petrolífero", afirmou. "Os indicadores revelam que Timor-Leste está nos últimos 20 por cento do estudo 'Doing Business' e isso reflete as dificuldades que ainda existem para iniciar um negócio no país", afirmou Luís Constantino. Para evitar o mau uso do dinheiro, o representante do Banco Mundial recomendou uma maior educação das pessoas, destacando um estudo da Comissão Anticorrupção de Timor-Leste que revelou que 50 por cento dos timorenses não sabem o que é corrupção. O Banco Mundial apoia Timor-Leste em projetos no setor da educação, juventude, saúde e construção de estradas. "Nós achamos que esse é o grande desafio de Timor. Educar, manter a saúde e arranjar empregos para a sua juventude", disse Luís Constantino, salientando que 60 por cento dos pouco mais de um milhão de habitantes do país têm menos de 25 anos de idade. Um "capital" que o país tem mas que, segundo o representante do Banco Mundial, também pode significar "gerações perdidas" se não forem criados postos de trabalho. "Eles sabem disso. Em relação ao crescimento económico, as autoridades timorenses compreendem que não vai ser a indústria do petróleo que vai empregar toda a gente. Eles estão à procura de outras fontes de investimento, como a agricultura, o turismo, mesmo a construção civil numa fase inicial", acrescentou. Díli – A Igreja Católica de Timor-Leste apelou aos seus seguidores a rezarem pela boa saúde do Papa Bento XVI, que decidiu deixar as suas funções de responsável máximo do Vaticano a 28 de Fevereiro. A Igreja Católica é a segunda instituição de maior influência em Timor-Leste, a seguir ao Estado. A maioria da população da antiga colónia portuguesa é crente no Catolicismo. A Igreja timorense é composta por três dioceses, a de Díli, liderada pelo Bispo Alberto Ricardo da Silva, a de Baucau, chefiada pelo Bispo Basílio do Nascimento, e a diocese de Maliana, dirigida pelo Bispo Roberto. Muitos timorenses ficaram surpreendidos com a notícia da resignação do Papa, divulgada esta segunda-feira, 11 de Fevereiro. 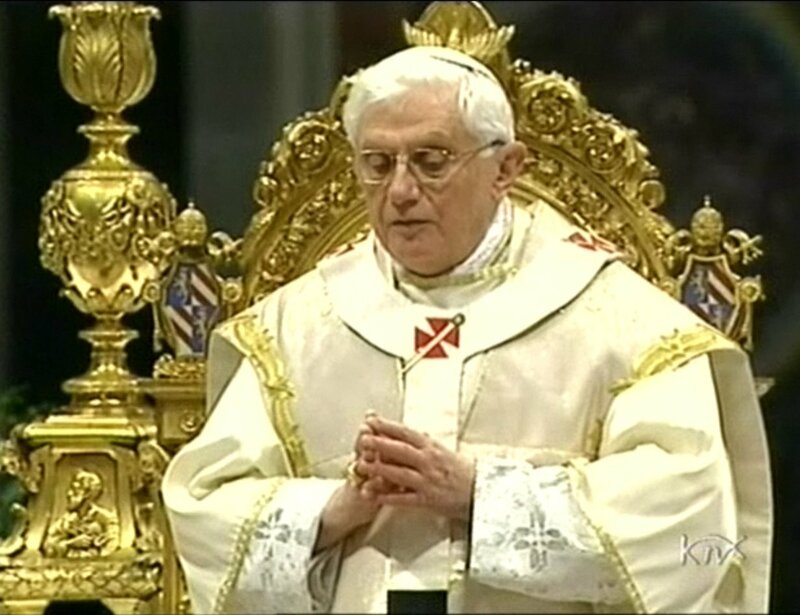 Os três Bispos timorenses apelaram aos seguidores do Catolicismo a rezarem pela saúde do Papa Bento XVI e agradeceram o seu contributo desde que foi eleito, em 2005. «Nós, os Bispos de Timor-Leste, queremos convidar todos os cidadãos timorenses a darem graças a Deus pelo grande amor que deu ao Ministério Pastoral do Papa», referiu o Bispo Basílio do Nascimento, acrescentando que a sua instituição não recebeu ainda nenhuma informação acerca do próximo candidato ao Papado. Jacarta, 13 fev (Lusa) - A petrolífera indonésia Pertamina revelou que prevê aumentar os seus lucros em 11 % para 3.053 milhões de dólares (2.267 milhões de euros) em 2013 , noticia hoje a imprensa indonésia. Karen Agustiawan, uma das responsáveis da empresa, explicou que o objetivo é produzir 244.000 barris de petróleo diariamente, mais 20 % do que no ano passado. Já quanto ao gás, a empresa define como meta a atingir os 47,8 milhões de metros cúbicos por dia, ou mais 8 % do que em 2012, acrescentou a mesma responsável. O preço médio do barril de petróleo indonésio deverá em 2013 fixar-se nos 100 dólares contra 113 dólares alcançados em 2012. 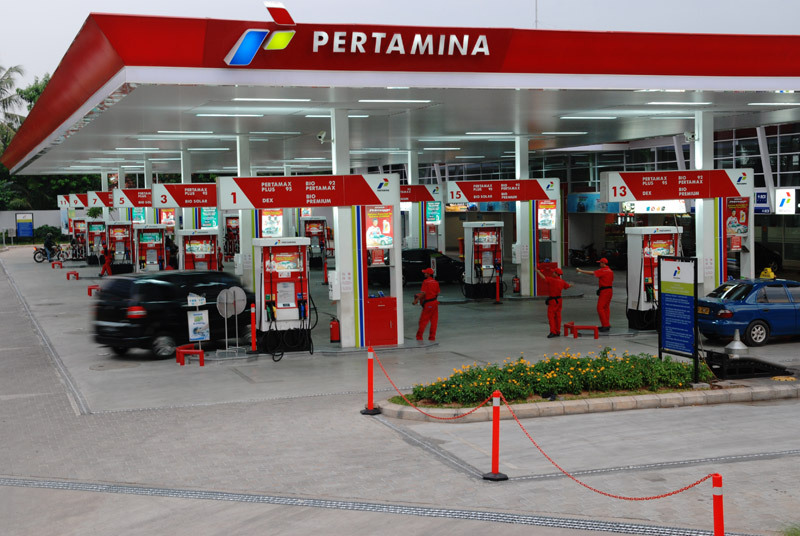 Para expandir a produção na Indonésia, a Pertamina vai investir o equivalente a 4.981 milhões de euros, dinheiro que também será utilizado na primeira operação fora do país, nos Emirados Árabes Unidos. A Indonésia foi um exportador liquido de petróleo até 2003 e abandonou a Organização de Países Exportadores em 2008 devido ao declínio da sua produção de crude. Em 2012, o país produziu uma média diária de 861.000 barris contra uma previsão inicial de 930.000. DILI - Relasiona ho numeru V governu Konsituisional ne’ebe bo’ot teb-tebes kompara ho IV governu, bankada Opozisaun FRETILIN iha uma fukun Parlamentu Nasional (PN) konsidera katak, defisil tebes Primeiru Ministru (PM) Kay Rala Xanana Gusmào atu kontrola ninia membru governu ida-idak. Kestaun ne’e hato’o husi deputadu bankada Fretilin Manuel Gaspar ba STL iha uma fukun PN katak husi numeru membru governu nebe bo’ot tebes, povu hetan deit benefisiu oituan, maibe membru governu sira maka hetan barak. “ hau nia hare ne’e fo benifisiu ba povu 25% ou 30% maibe sesenta pursentu ne’e sira gasta deit, maibe tuir hau nia hare governu ida uluk hamutuk quarenta nove pessoas, maibe agora numeru membru governu barak teb-tebes, hau hanoin difisil para PM atu kontrola,” hateten Deputadu Manuel ba STL iha uma fukun PN Tersa (12/02). 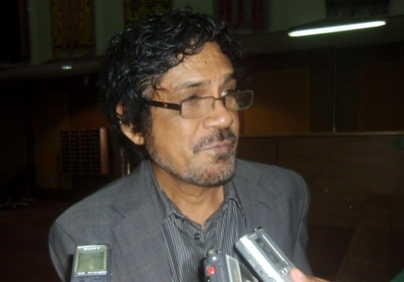 Diretor Instituto Luta Hamutuk "Mericio Akara" konsidera alegasaun Korupsaun Kolusaun no Nepotismu (KKN) hasoru Ministra Finansas Emilia Pires sei fo ameasa boot ba orsamentu Jeral Estadu 2013, tanba Ministeriu Finansas mak sei jere osan estadu. “Ida ne’e loloos dezastre boot, ida ne’e labele husik kleur tanba orsamentu jeral estadu iha ninia (ministra Finansas) mak jere,” dehan Akara ba INDEPENDENTE, segunda (11/2). Nune’e, nia husu ba Ministra Finansas Emilia Pires rejigna an husi nia kargu, tanba deskonfia komete KKN relasiona ho alegasaun aprova projeitu ba nia kaben. “Loloos ne’e, nia lalika hein tan prosesu oioin, nia tenki deklara ba publiku katak nia la merese ona i diak liu nia rejigna an antes, para fokus hodi responsabliza ninia prosesu,” deha Akara. Tanba Akara dehan, orsamentu jeral estadu labele jere husi ema ne’ebe mak deskonfia komete ona KKN. Akara dehan, Ministeriu Publiku ho KAK tenki halo investigasaun lalais tanba kazu ne’e extra-ordinariu ne’ebe involve Ministra Financas ne’ebe maka jere osan estadu. Investigasaun ne’e labele fihir se mak halo no haree ninia pozisaun nuudar Ministra, para publika labele iha konfuzaun nia laran,” dehan nia. Akara dehan, alegasaun hasoru ministra finansas, ne’e iha indikasaun forte katak, mosu konflitu interese tanba aprova projeitu ba nia kaben. “Ami hanoin hanesan sosiedade sivil kazu ne’e labele konsidera hanesan kazu normal, maibe extra-ordinariu tanba involve Ministra Finansas estadu ninian ida,” dehan Akara. Entertantu, antes ne’e Ministra Finansas Emilai Pires hateten, nia pronto atu ba hatan iha Tribunal relasiona ho alegasaun ne’ebe mak hasoru nia konaba aprova projeitu ba nia kaben relasiona ho prosesu sosa ekipamentus saude ba Ospital Nasional Guido Valadares iha tinan kotuk. Lalenok Ba Ema Hotu – LABEH hanesan ONG Anti Korupsaun, Quarta feira ne'e (13/2) ofisialmente husu rejignasaun ba aktual Ministra Planu e Financas, Emilia Pires hafoin akuzasaun publiku konaba alegasaun korupsaun no abuzu de poder ne'ebe jornal investigativu Tempo Semanal fo sai iha loron 12 Febreiru 2013. Liu husi Direitor Executivu LABEH, Julio Gil da Silva Guterres ejiji rejignasaun ne'e ba Ministra Emilia Pires atu iha korajen hodi promove transparencia no akuntabilidade. 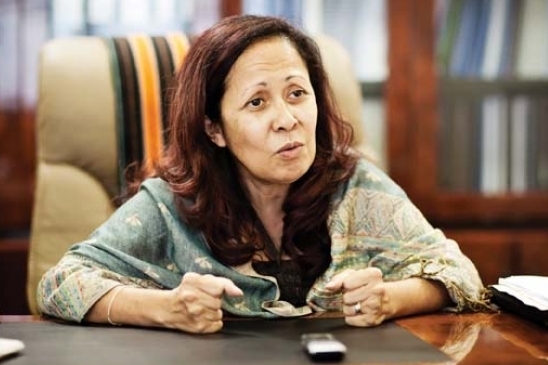 “LABEH hakarak husu ba Ministra Emilia Pires atu rejigna an husi nia postu tamba involvimentu Ministra Financas iha prosesu fo tenderizasaun ba kompainia Mac's Metalcraft PTY LTD, hodi kompras ekipamentus Hospital Nasional Guido Valadares (HNVG) hanesan abuzu de poder no konflitu de interese ida hanesan pesoal xavi iha governu nian”. Gil da Silva hateten. “LABEH lakohi ona halo esplikasaun no hatudu faktus tamba publiku akompanya ona publikasaun media konaba prosesu fo tenderezisaun ba Ministra nia an rasik, maske na'in husi kompainia ne'e nia kaben Waren Macleod nian, maibe konsidera mos hanesan Ministra nia kompania rasik, tamba ne'e projeitu ne'e nakonu ho konflitu de intrese no violasaun ba lei aprovizionamentu nian, publikasaun media nian ne'e hatudu momos ona katak Ministra Emilia Pires laiha komitmentu ba promove boa governasaun, transparencia no akuntabilidade iha nasaun ne'e” hatutan Eis Direitor Centru Jornalista Investigativu Timor Leste (CJITL). 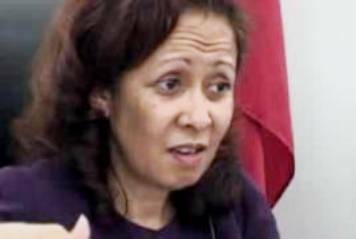 LABEH mos ejiji ba Komisaun Anti Korupsaun (KAK) atu imediatemente haruka karta ba Primeiru Ministru atu halo demisaun urjente ba Ministra Financas hodi bele KAK loke ho seriedade prosesu investigasaun profundo ida hasoru Ministra Emilia Pires. “Husu ba KAK atu labele atrazadu hela deit, faktus fo sai hotu ona, husu KAK atu halo karta pedidu ida ba Primeiru Ministru hodi husu demisaun ba Ministra Financas hodi mai hatan konaba alegasaun korupsaun ne'ebe hamoe tebes dignidade estado nian” Gil da Silva ejiji. O deputado da bancada Fretilin, Eládio António Faculto de Jesus acredita que só através da transparência e honestidade é que o Estado poderá retirar o povo da pobreza, disse ontem no Parlamento Nacional. “Como novas gerações, todos os orgãos de soberania precisam de fazer uma mudança. Ou seja precisam de ser transparentes e honestos para com o povo para conseguirem retirá-los da pobreza”. Eládio pede ao povo para confiar nos representantes do povo, que se irão esforçar para que a voz do povo chegue ao Parlamento. Por outro lado um dos estudantes da Universidade Nacional de Timor Lorosa’e, da faculdade Agricultura e do departamento Agro-Pecuária pediu ao Governo para que trabalhe como o representante do povo e não por representante individual ou familiar.